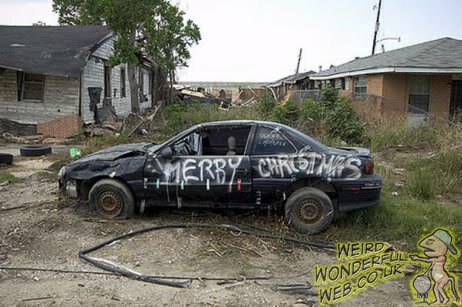 Weird Wonderful Web: Most depressing Xmas decorated car! 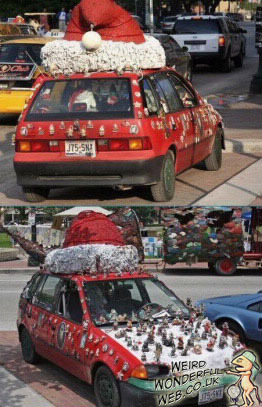 Even though this car has a giant Santa hat attached to its roof it still has to be one of the most depressing looking Christmas decorated cars I've seen. Or at least a close second to this one below.